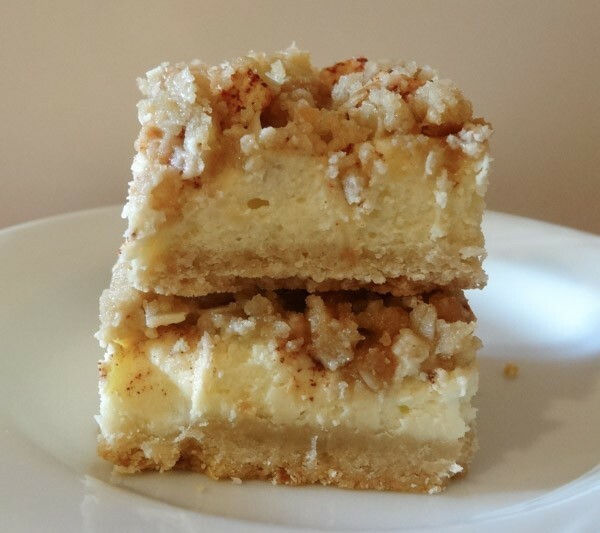 Apple Cheesecake Bars consist of a flaky crust layered with a creamy cheesecake filling, fresh apples coated with cinnamon and nutmeg, and a streusel topping. These bars are then drizzled with caramel sauce and make an excellent Fall dessert. These apple cheesecake bars are like eating the best parts of an apple pie and cheesecake together. You have a great crust, creamy cheesecake filling with bite after bite of freshly baked apples and a great crumb topping. Just when you think it can’t get any better, caramel sauce is drizzled over the bars for the final touch. As you know, I love desserts, especially Fall desserts. I love baking with pumpkin, apples, pecans, oats … There are just so many choices. Originally, I didn’t think I’d ever make that many bar recipes, but I have come to love bar recipes. They are so versatile and easily portable. These are great for serving a crowd and they taste delicious! I got my inspiration for this fantastic dessert at Taste of Home. I cut the crust recipe in half as it was way too much crust for a 9 x 13 inch baking dish and I modified the streusel topping. 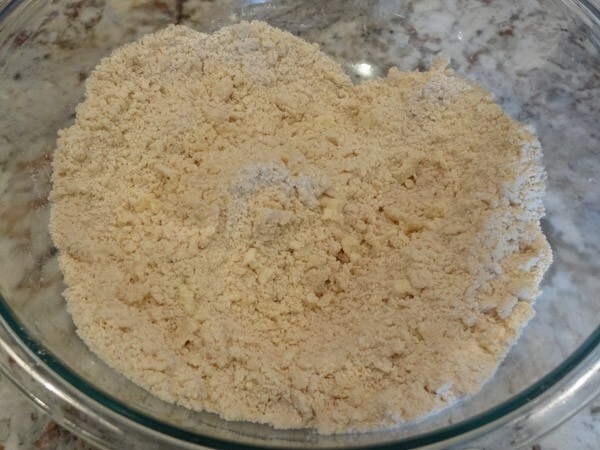 In large bowl, combine flour, brown sugar, and butter together with pastry blender until coarse crumbs are formed. Bake in oven at 350 degrees F for 15 minutes. Remove pan to wire rack to cool. 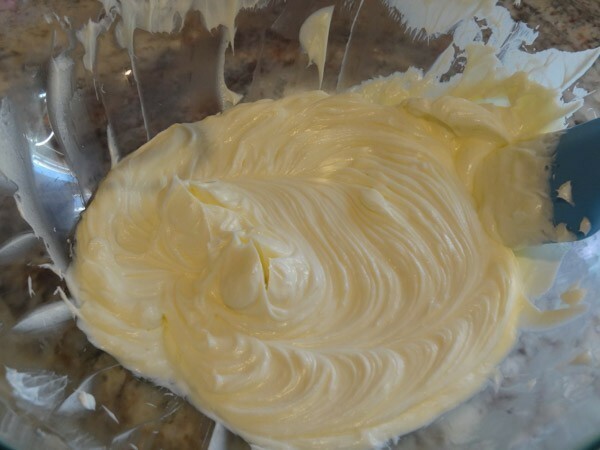 In large bowl, combine the cream cheese and sugar with an electric mixer on medium speed for at least two minutes. 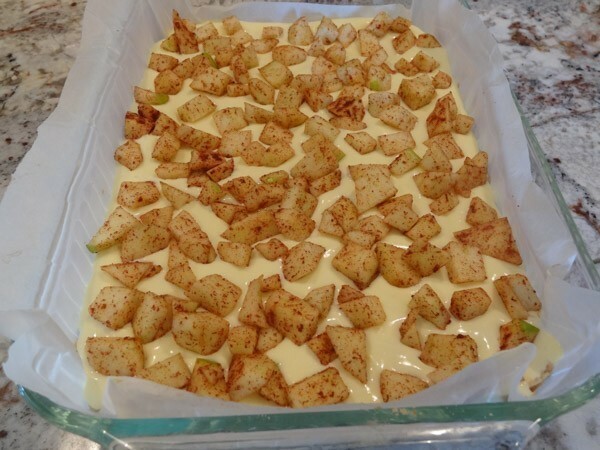 Spread apples evenly on top of cream cheese layer. Bake at 350 degrees F for 25 to 30 minutes. Top will be golden and filling should be set. Remove baking dish to wire rack to cool. 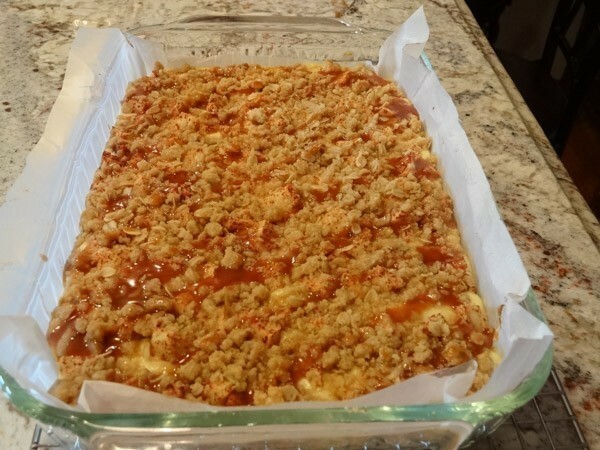 Once cooled, drizzle caramel sauce over streusel topping. You can make your own caramel sauce or use store bought. I’ve included a homemade version of caramel sauce that taste excellent and can be whipped up in less than 15 minutes. 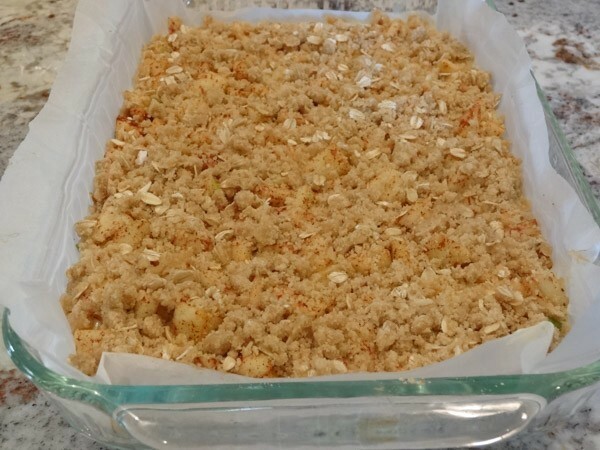 Place baking dish in refrigerator for at least one hour to chill before cutting into squares. You can also drizzle bars with more caramel sauce if desired. 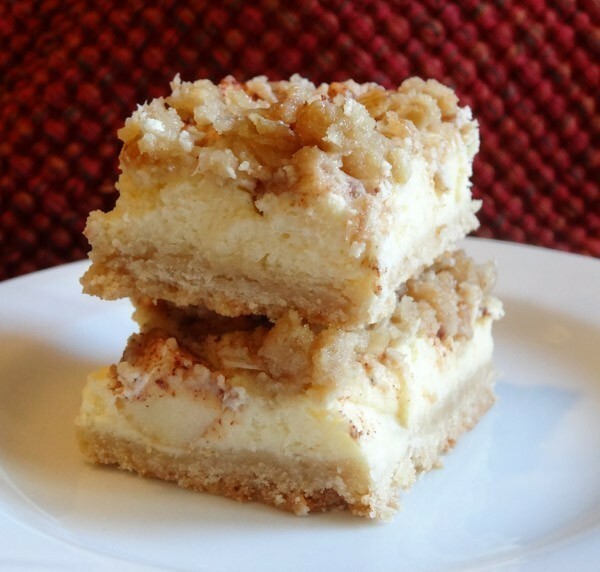 These apple cheesecake bars are like taking the best of a cheesecake and apple pie and blending them together. You have a flaky shortbread crust, cheesecake filling topped with cinnamon apples and a streusel topping drizzled with caramel. This is a great tasting Fall dessert. In large bowl, combine flour, light brown sugar, and cold butter. 2. Use pastry blender and continue to mix ingredients together until coarse crumbs form. 3. 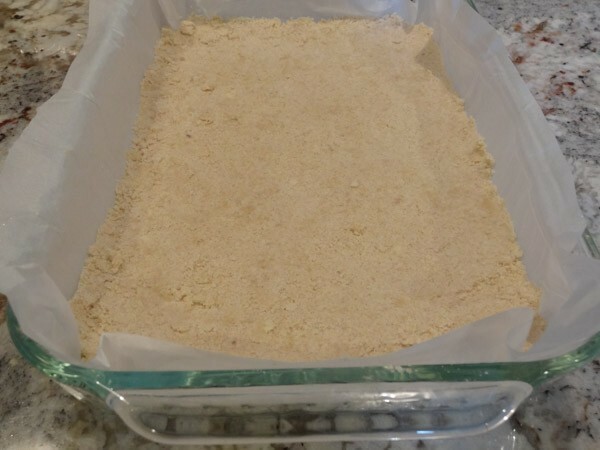 Press flour mixture into lightly greased or parchment lined 9 x 13 inch baking dish. 4. Bake at 350 degrees F for 15 minutes. Set aside to cool. 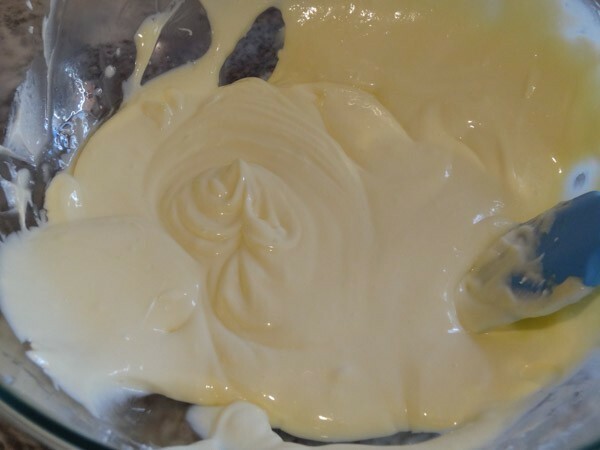 In large bowl, combine cream cheese and sugar together with electric mixer on medium speed for at least 2 minutes. 2. Add in eggs, one at a time, followed by vanilla extract. Stir until combined. 3. Pour cheesecake filling over baked crust. 4. Peel and chop 3 to 4 apples to measure at least one and a half cups. 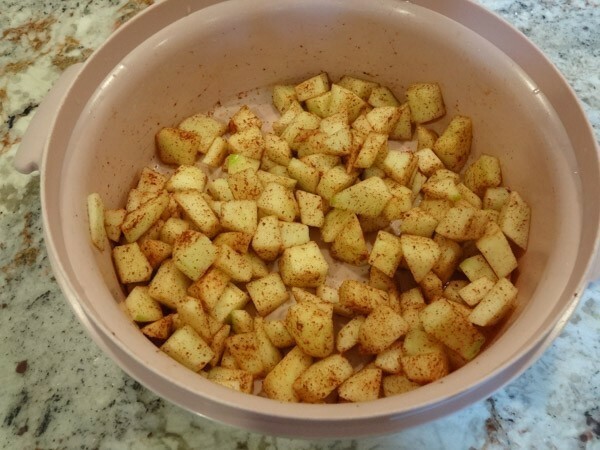 Place chopped apples in medium sized bowl and add cinnamon and nutmeg. Stir to coat evenly. 5. Spread coated apples evenly on top of cheesecake filling. In large bowl, add in melted butter, flour, brown sugar, and oats. Stir until combined. 2. Sprinkle crumb topping evenly over apple layer. 3. 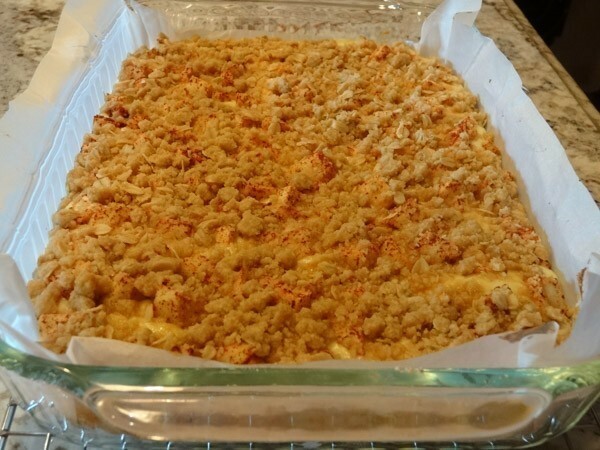 Place baking dish in oven and bake at 350 degrees F for 25 to 30 minutes or until top is golden and cheesecake filling has set. 4. Remove pan to wire rack to cool. You can use Granny Smith, Fuji, Cortland, Honey crisp, or Gala apples for this recipe.